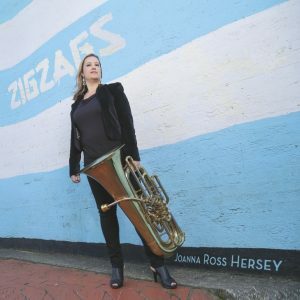 Shatterdome is one of four new works composed by Joanna Ross Hersey and William Bendrot for Joanna’s second solo album, Zigzags, which place the tuba and euphonium in an electronic music setting. 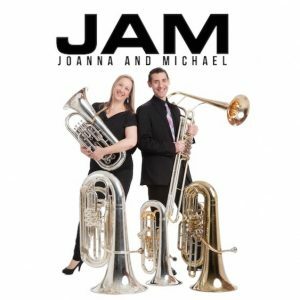 Shatterdome is one of four new works composed by Joanna Ross Hersey and William Bendrot for Joanna’s second solo album, Zigzags, which place the tuba and euphonium in an electronic music setting. Shatterdome was inspired by the drama in film writing at climactic moments when good and evil collide and dark forces are at work, utilizing low resonances and long, lyrical phrases. Includes: Solo Part (PDF) and Accompanying Sound File (MP3). Includes: Printed sheet music with the electronic accompaniment on a CD.